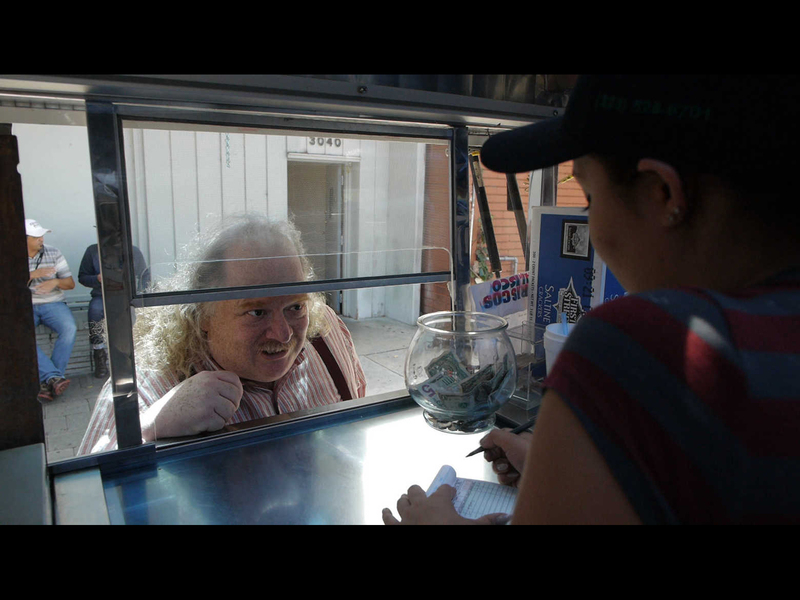 WHAT ROGER EBERT WAS TO MOVIES, Jonathan Gold is to food—one, the first person to win a Pulitzer for writing about it. Two, someone who can write about arcane aspects of his love with a common touch that motivates ordinary folks to check it out. Gold, who cuts a shamblingly eccentric figure driving L.A. to eat in his green pickup, started by writing about L.A.’s punk music scene and hiphop in the Straight Outta Compton days. But he made his name, first at the L.A. Weekly and for many years now at the Los Angeles Times, exploring the rich immigrant food subcultures of L.A.—from Mexican taco joints and Thai family restaurants to Korean food trucks and perhaps most consequentially, the enormous influx of Chinese (and Chinese restaurants) into the San Gabriel Valley in the ’90s and 2000s. Like the South Side before Bridgeport became a hipster dining and drinking neighborhood, a lot of these parts of Los Angeles were simply out of sight, out of mind and too far away on the 10 for people in the more prosperous parts of the city, and it was Gold who put them on the mental map of foodie L.A.
Now Jonathan Gold and his Los Angeles are the subject of a new documentary, Laura Gabbert’s City of Gold, playing as of this writing at the Landmark Century Centre Cinema in Chicago. I first met Gold at the James Beard Foundation Awards in 2011, and was one of the group of food media people at a dinner for him and Gabbert Thursday night at Theaster Gates’ Currency Exchange Cafe near Hyde Park. (That’s where the cover image comes from.) The next day I met both filmmaker and subject at the Public Hotel—the former Ambassador East, where Gold’s grandmother once ran the flower stand—to talk about his life and work (and how you turn a writer into a movie). This was the kind of busy press trip where a new person comes to interview you every 20 minutes, so I was determined not to ask the same questions everyone before and after me did—about anonymity, celebrity chefs, whether deep dish is really pizza or any of that. Decide for yourself how well I did, but I was glad to have this chance to drill down with one of my heroes and models for my own work. Read the tidied-up-for-print version of our interview below, or listen to the Fooditor Radio version, where I left in some of the side chitchat and informal parts. FOODITOR: Chicago has very historically defined neighborhoods. The old line about California, by comparison, is that nobody’s actually from there. So it seemed to me that the film was kind of about how people don’t know L.A. until somebody tells them about it, and the two things that kind of told the news to L.A. about itself were you and hiphop. Does that seem like a reasonable interpretation? GOLD: Well, I would never deign to put myself in the same stratum as my homeboy Dre [laughs]. But the thing about hiphop is that, for the first time, a certain view of the African-American community was able to hear about itself in an unmediated fashion. That they were able to talk about politics, they were able to talk about the drug selling thing, they were able to talk about the cute girl around the corner, they were able to talk about the police—without anybody coming in and saying, you can’t do that. And that’s sort of the expression of unmediated experience. This was something that was really empowering—it’s almost breathtaking to think about, because it seemed so simple at the time, but it meant so much. Food writing, the kind of stuff I do, isn’t that—I mean, far from being unmediated, I am the mediator, right? But it’s still parts of the city that haven’t been heard from. Yeah, in the ’90s there used to be this joke that there were parts of L.A. that were only written about if there was a mass slaying, or if I found a really good place to eat oxtails. I haven’t been out to L.A. in a while, but the last time I did of course I researched where to go, and a big part of it was going over to the San Gabriel Valley and eating a lot of Chinese food. Do Los Angelenos do that, or are they afraid to cross that barrier? No, I think they do do that, and if they don’t do it, they know they should be. Which is sometimes… the same? I don’t know. 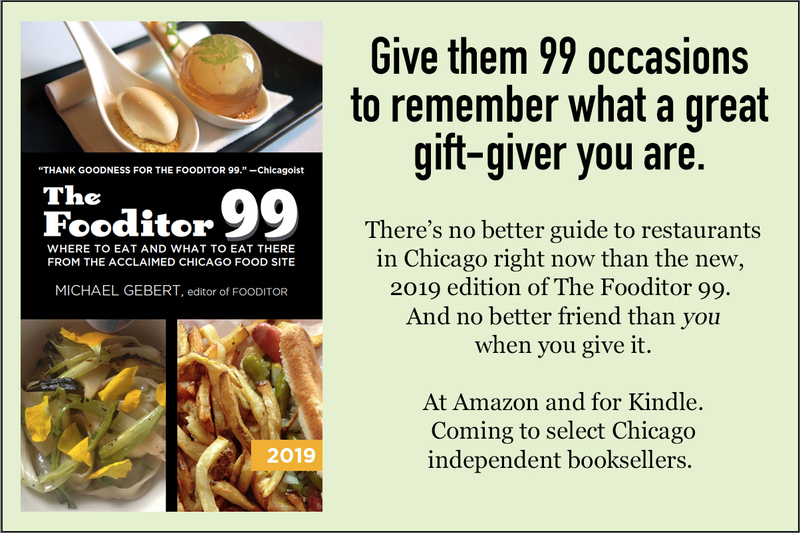 I did this long cover story for Travel + Leisure on Chicago food in the ’90s, and I went to 150 restaurants, I came here a bunch, my family’s from here. And part of it was—like Cicero. Eating freaking Lithuanian food in Cicero. It wasn’t something I’d ever read about anywhere, I’m not sure anybody does it. But there are so many places and some of the stuff was good and some of it was inedible in a way that nothing had ever been inedible before [laughs]. But after eating at half a dozen or eight of these places, did I have a feeling that I knew more about Lithuania than I did? No, but I think I may have known a little bit more about Chicago, does that make sense? Sure. Well, and in a real sense you’re tracking immigration patterns by writing about food. The film talks about that—I thought you had that very effective device of calling out the boundaries of certain neighborhoods on the maps. Because that is what it’s about, the independent country of Ecuadoran Los Angeles or something. GABBERT: Yes, we struggled with, how do you show the vastness? Even when people live there, they don’t understand where these different neighborhoods are. I also wanted to show how there are, as Jonathan says, these little self-contained communities, where you zoom in and you see that Little Ethiopia is basically a block. GOLD: And some of them are huge, too. In the San Gabriel Valley, you can drive twenty miles, probably, without getting out of sight of a sign in Chinese. Right, that’s what I thought when I was there, every block is bigger than Chicago’s Chinatown, has more restaurants. They just opened a branch of Lao Sze Chuan in Glendale. I haven’t been there yet, it would be interesting to see how Chicago Chinese food might translate. Which leads to one of my questions about that whole Chinese wonderland in the San Gabriel Valley—do you feel like you’ve seen a whole different kind of Chinese food come in there? Oh, I’ve seen a dozen different kinds of Chinese food come in there. When I started writing about it it was mostly Hong Kong immigration. There was a lot of that, like, sort of seafood palaces, and some little grungy Taiwanese things, and the Taiwanese would open Sichuan restaurants. There used to be this joke that there were parts of L.A. that were only written about if there was a mass slaying, or if I found a really good place to eat oxtails. And then there was the big wave of immigration from the mainland. And so suddenly there were—it started out just Dongbei, and then it started to be specific cities in Shandong. So there was a Chingdao style place, there was a Dalian style place. There’s so much immigration from the north, parts of China, I’ve got to say—there’s cities of eight million people that you probably could not point to on a map. And really interesting noodle traditions. Some of it is so close to Korean food that it might as well be Korean. There are parts of western China that almost cross over into Afghan and Persian food. So getting back to the film a little bit—I mean, I kind of do what you do, and I wouldn’t exactly call it visually interesting most of the time. Was that daunting for you, Laura, trying to make a film out of a writer’s life? But really, we just let Jonathan’s writing guide us, in telling the story and figuring out how to—not illustrate it, but have the cinematography support it and kind of expand on what he’s writing about. And really give you more of the sense of feeling and being in the city, and driving in the city. Shots of food, yes, but not perfectly lit shots of food—experiencing it the way you really experience it in a restaurant when someone plops down a bowl of noodles in front of you. —And racked focus. Thank you. I appreciate you noticing that. GABBERT: —Lovingly putting the fish down. One thing I’ve been thinking about how food has evolved over the years—when I started writing about food 10 or 15 years ago, there was a real distinction between fine food and ethnic food. And I feel that’s done nothing but blur since then. Maybe some of it’s the farm to table movement, maybe it’s chefs deciding it’s okay to make the tacos or Asian food they like—have you seen that? I talk about food and cultures, I’ll sometimes talk about traditional food—but when I talk about traditional food I could be talking about farmer food from Iowa, too. Which is in a way like farmer food from El Salvador. It has more to do with it than it does with the kind of food with ambition that you would find at Blackbird or something. Although so much of that is going back to the traditional food, and there’s always this culturefuck that I find constantly entertaining. How can you say that, just because it’s being sold on a truck it means one thing, and just because you’re eating it on a white tablecloth means another? But yeah, it’s great, I was just thinking about that, in the 90s and even the 80s there were restaurants that considered themselves fusion places, right? And they would have a Thai noodle dish on the menu. But they wouldn’t have gone to the godhead Thai restaurant that was six miles from the restaurant, because they didn’t think they had to. Then one of the best restaurants in town had lots of references to street food around the world, but you could do something like a Thai sausage salad or a poona pancake without thinking that you had to [try the original]. But it became really difficult because so many of the people—you’re actually getting people from southern India and you’re actually getting people who are almost bicoastal, L.A.-Thailand. And they know that food. That if you’re a chef cooking in Los Angeles, you know you have to go to the San Gabriel Valley and try, not just the basic Chinese stuff, but to dive a little bit. You know what’s available, you know the fabulous array of ingredients, so there’s that kind of crossover. I mean, the daughter of the chef at what’s probably the best Korean restaurant in town is now the chef at Osteria Mozza, which is one of the best Italian restaurants. In L.A. the differences have been sort of blown up. There’s that place, Guerrilla Tacos, in the beginning of the movie. He worked with Ducasse, he’s cooked in some of the best restaurants in California, and he’s getting the same produce from the same farmers, and he’s getting an even better grade of meat than the best restaurants are because the guys at the Cook Pig Ranch love him, and they love him at the fish market so he’s getting a better grade of uni than anybody else is. And yet, he’s putting it on a taco and charging $6 for it instead of putting it on a $150 tasting menu. How can you reasonably say that, just because it’s being sold on a truck it means one thing, and just because you’re eating it on a white tablecloth means another? You can’t. It’s erased. Okay, one last question. You come to Chicago a lot, I understand your daughter goes to the University of Chicago, on the south side. 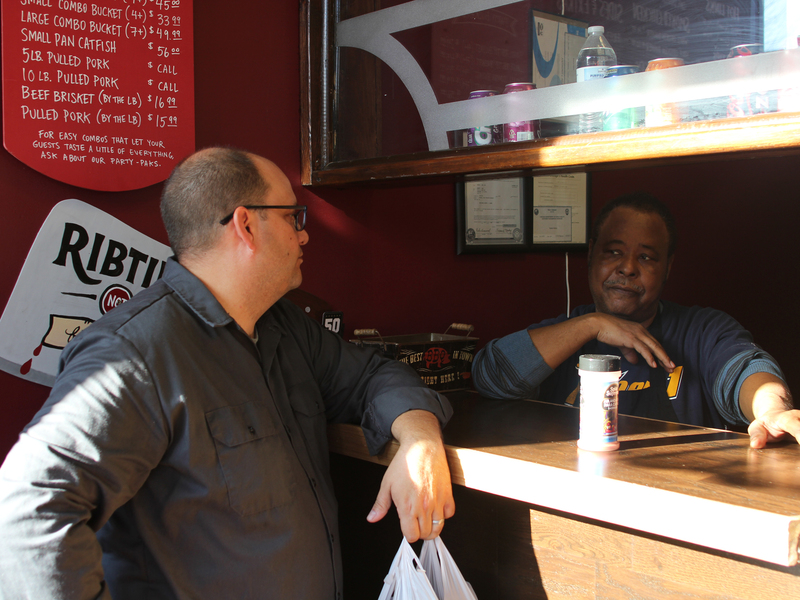 What are Jonathan Gold’s south side Chicago places? Oh darn, I’m so freaking boring, I spend the rest of my time—I really love Calumet Fisheries. It’s such a good place. I try to get to Lem’s—I still think it’s the best Chicago barbecue, it may have evolved, Leon’s is certainly easier to get to now. I don’t necessarily love A10, but I go to A10. That place we went to last night [Currency Exchange Cafe] was fantastic. My daughter suggested it. 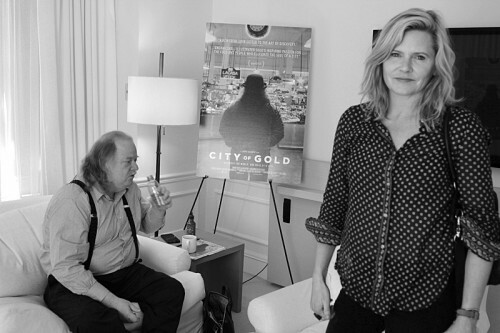 See Joe Campagna’s thoughts about the film and chat with Jonathan Gold here. Michael Gebert is the editor of Fooditor. 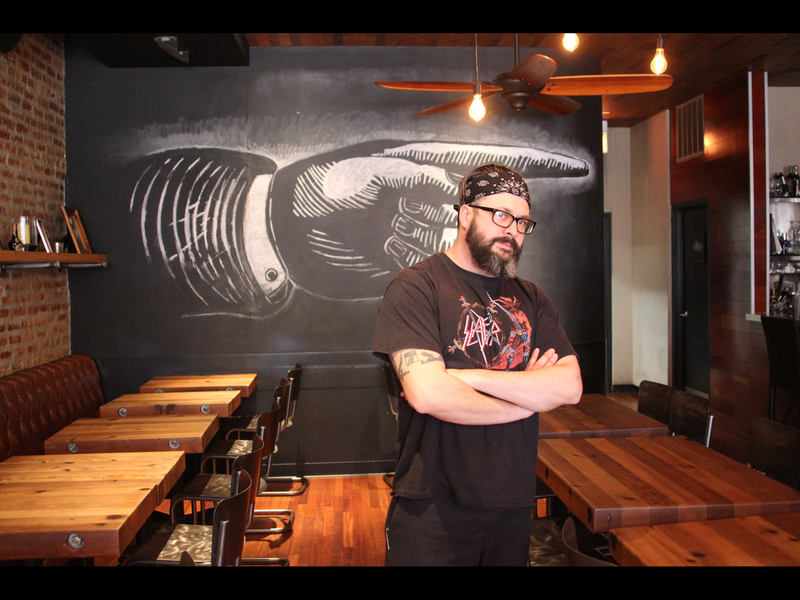 He recommended Honey 1 BBQ, 5 Loaves Eatery and Birrieria Zaragoza to Jonathan Gold for his next visit.